the 19th president of the United States, serving as his private secretary during his presidency from 1877 to 1881. 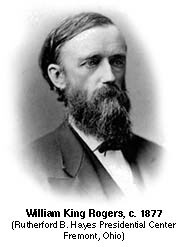 An ordained minister and lawyer, Rogers had first come to Minnesota for health reasons back around 1856. He lived in Hastings where he worked for a railroad company, practiced some law, and dabbled in local politics. 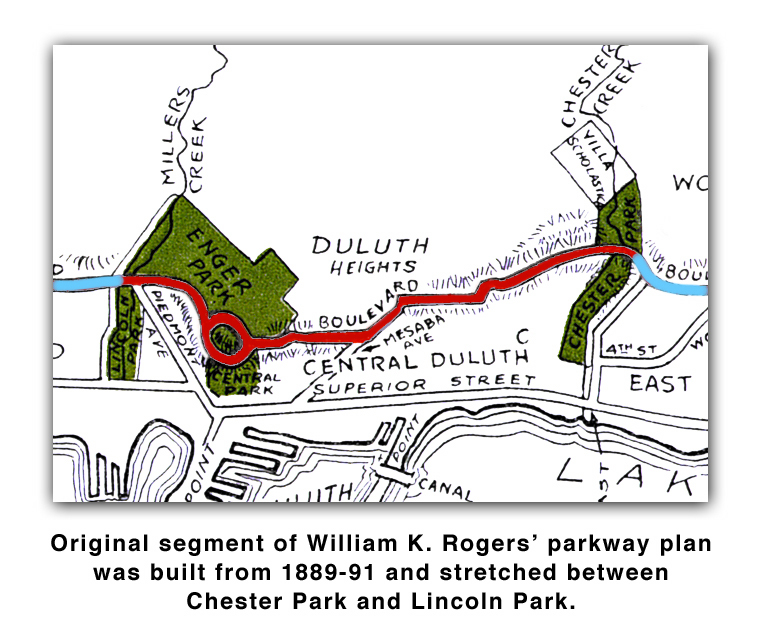 Later, when his friend Hayes purchased property in Duluth (including the Hayes Block at the southwest corner of First Avenue East and Superior Street), Rogers often visited the northern city to manage monetary transactions and upkeep of the property. While in Duluth, he became involved in real estate and banking, serving as president of the State Bank of Duluth. He was also involved in the building of an incline railway running up the hillside from Superior Street to Ninth Street along where 7th Avenue West is located today. The incline served as a major connection to the hilltop where property development was stagnant because of its inaccessibility. 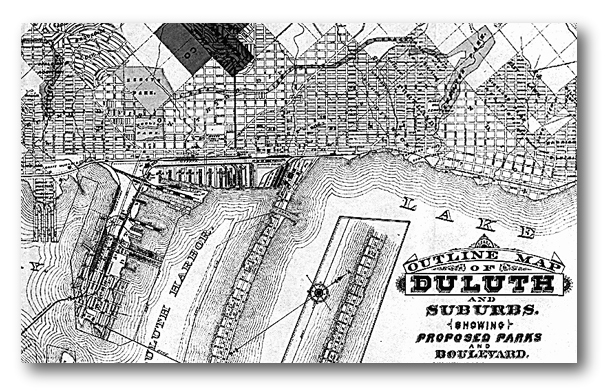 The Duluth Highland Improvement Company--in which Rogers held interest--owned a development at the top of the hill, and was a major concern behind the building of the incline. 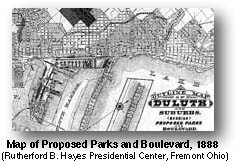 Former president Hayes also owned land near the proposed route. The top of the incline intersected with what was then known as Old Beach Road, a pathway following the natural terrace that ran across the brow of the hill. The terrace had been formed by an ancient gravel shoreline left by glacial Lake Nemadji, a deeper ancestor of present-day Lake Superior. William Rogers trekked many times across the terrace, surveying the hilltop acreage, climbing through creek ravines that cut down through the property. Sometimes, he would stand on the gravel ledge, above the bustle of the expanding city below, and gaze out over the sweeping view before him. The experience made quite an impression on the Ohio native.